There would be no school. Everyday would be a play day. Breakfast, Lunch and Dinner would consist of junk food (possibly). Bedtimes would only exist when you could no longer walk in a straight line. Race and Religion wouldn't matter as everyone is an equal. Children only become aware of these things when adults make them aware of it. Imagination would rule the world as TVs, Computers and other such things wouldn't be invented.... nature would be their source of entertainment. People would live in twig houses. Money wouldn't be needed as nature would provide the food from undistrubed land. Everyone would be walking around with no clothes on as after all children hate getting dressed. Bath times will only exist when you go for a dip in the river/lake. As for adults we'd live in a constant eerie of Neverland and would know no other life. 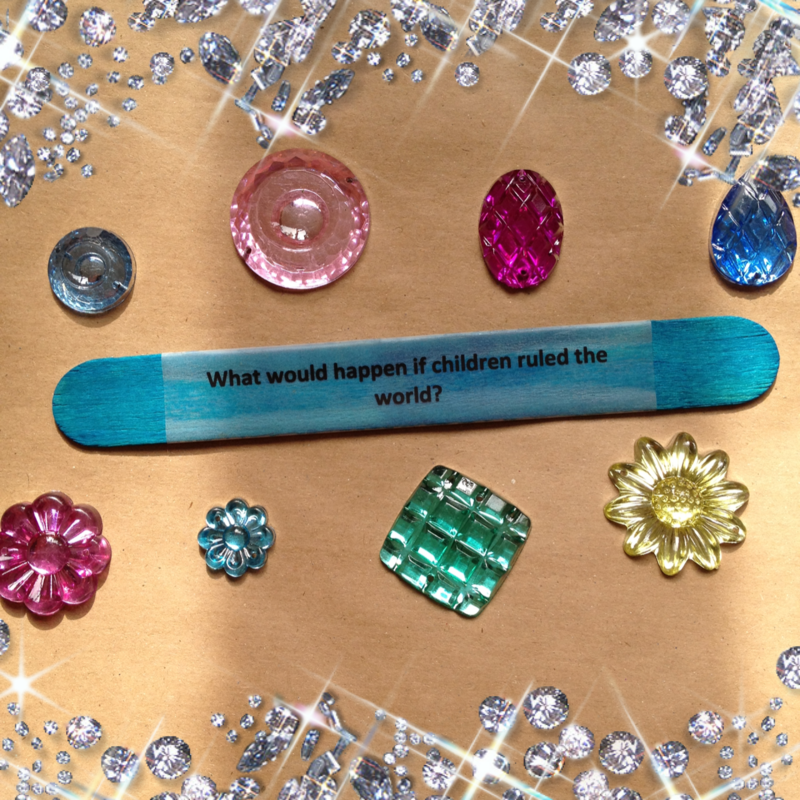 How do you think the world would be if children ruled it? It would be just like what you mentioned above and any adults who get into their way will be punished! Sounds great Jo-Anne, to be honest I spent all my time outside as a child in the local park. We never fought and someone would put up a rope swing and we'd all play until we were too tired to play at all. Its how I imagine that time to be. If children ruled the world, it would be worse. Children would not have school and grow up to be dumb. If they did have school, they would only make adults go to school. They would become addicted to computers, TVs, video games, and I-pads. Even though they would be addicted, they would not have them in the end because the children do not know how to make these things. Meals would consist of mostly junk food. The world would be very messy because children hate cleaning up. Bedtime would be very late and people will stink because children don't like baths. The only time people will have baths is when they go for a swim in the lake, river, or sea. All items that have restrictions would be turned around so that something that is not for people under 18 would be for people under 18 instead of over. All children will grow up in the end and they will not like the way things are now that they are adults. Anyone who is bossy will probably be put in jail. The children would make a lot of laws. A lot of things would be free. Adults would not work if children said that they didn't have to. The world would be fun, but it would not be better. Adults who worked might be paid in candy and chocolate instead of money. Race and religion would not matter because children only care about it once adults make them aware of it. Every day would be a play day.